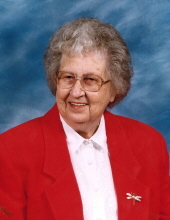 Marie Coffer Anglin, age 93, widow of Jack Anglin of North Wilkesboro passed into the loving arms of our Lord on Saturday, March 30, 2019 at her home. She was the last surviving child of Gaston and Martha Holt Coffer. She is survived by daughters Deeda Pearson of Moravian Falls, Debbie Burchette (husband Sherrill) of Elkin; sons Ronnie Anglin (wife Glenda), Steve Anglin, and Alan Anglin (wife Sherry) all of North Wilkesboro. Her grandchildren Marlene Kilby, Wayne Pearson, Jenny Hiatt, Ronald Anglin, Jr, Scott Anglin, Richard Teague, Timmy Teague, Kim McGuire, and Ashley Anglin. She is also survived by great-grandchildren and great-great-grandchildren. Marie retired from the textile industry at age 77 after having last worked at Buster Brown until the plant closed. Her hobbies included reading, sewing, and gardening. Through the years, she loved going to the Friends of the Library book sales and would come home with bags of novels to enjoy. She also loved to sew until she got older. Her yard and flower gardens were her pride and joy. Marie was a fine Christian lady and, until dementia kept her from focusing on what she read, she kept her Bible and her Sunday School quarterly next to her chair. She loved going to Sunday School and church and was a faithful member of Hinshaw Street Baptist Church. She taught Sunday School in the children’s department at Liberty Grove Baptist Church for many years. Funeral services will be held Wednesday, April 3, 2019 at Hinshaw Street Baptist Church at 2:00 PM with Rev. Jeff Collins officiating. The family will receive friends from 12:30 until 1:30 PM prior to the service at the church. Entombment will follow at Mountlawn Memorial Park Mausoleum with Rev. Justin Johnson officiating. Special thanks to Medi-Home Health and Hospice and to Marie’s physician, Dr. Laura Hubbard, who took such loving care of her through the years. In lieu of flowers, the family requests that memorials be made to Hinshaw Street Baptist church, 1105 Hinshaw Street, North Wilkesboro, NC 28659. To send flowers or a remembrance gift to the family of Marie Coffer Anglin, please visit our Tribute Store. "Email Address" would like to share the life celebration of Marie Coffer Anglin. Click on the "link" to go to share a favorite memory or leave a condolence message for the family.